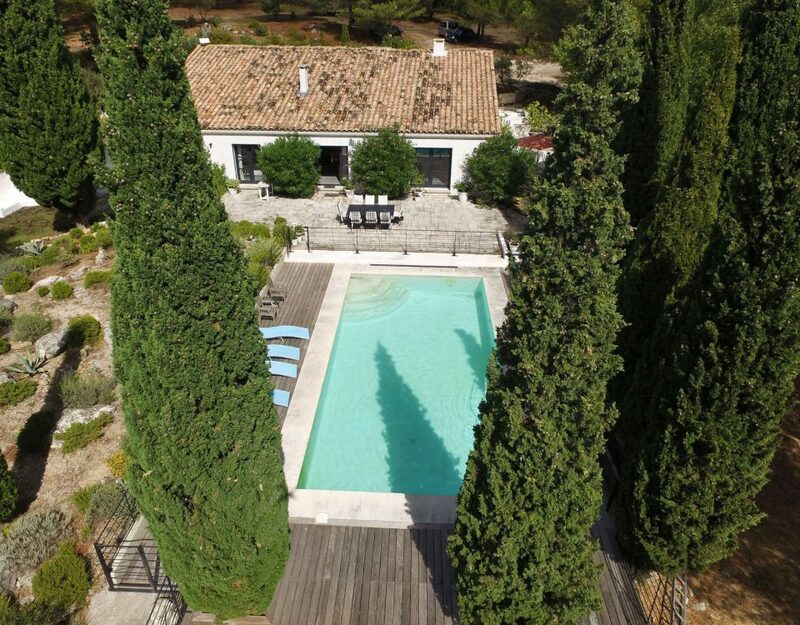 This exceptional Provencal house is a jewel: heated pool, beautiful park, beautiful view, comfort, privacy, calm and luxury. The Mas Barbentane offers a living area of 420 m² with 6 spacious bedrooms and an additional apartment on a plot of 1 hectare. 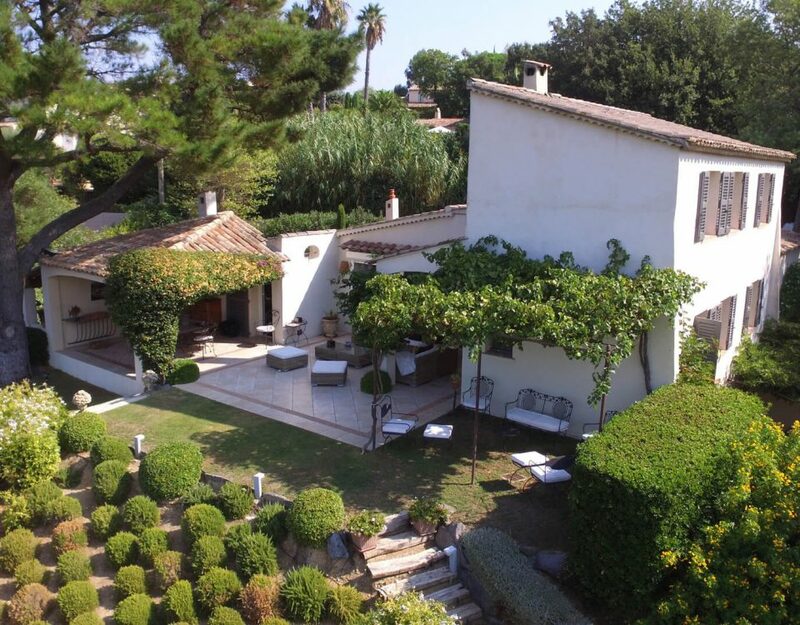 It has been completely renovated in the Provencal style but with ultimate comfort. The house offers two spacious lounges with comfortable sofas, a fireplace. A spacious open kitchen fully equipped extends the living room which ends with a TV lounge. The property is nestled in a unique green environment and children will love the long secure pool, the jacuzzi and the huge park . Mas Barbentan can accommodate up to 14 people, this is the ideal holiday home at the entrance to the village of Barbentane. 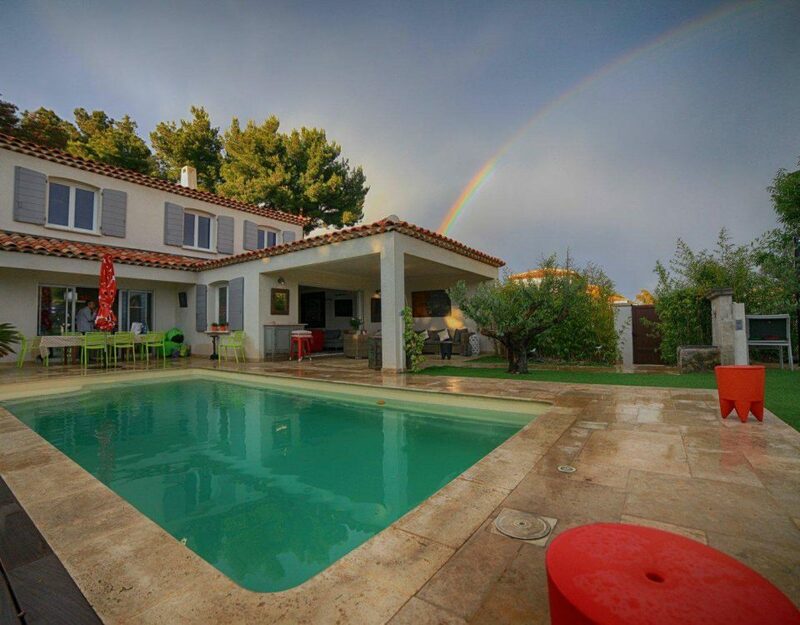 This exceptional Provencal framhouse is a a find: heated pool, beautiful park, lovely view on Alpilles mountains, comfort, privacy, calm and luxury. The Mas St Roch offers 360sqm of living accommodation with 7 spacious bedrooms on a plot of 2 hectares. It was totally renovated, keeping with the traditional Provencal style but with ultimate comfort. The property also offers a spacious living room with comfortable sofas, a fireplace, a desk and game table. A spacious fully equipped open kitchen extends the living room, as well as a TV lounge at the other end. The property is nestled in a unique green environment and children will love the long secured pool. The house can accommodate up to 14 people, ideal for holidays with friends or family. 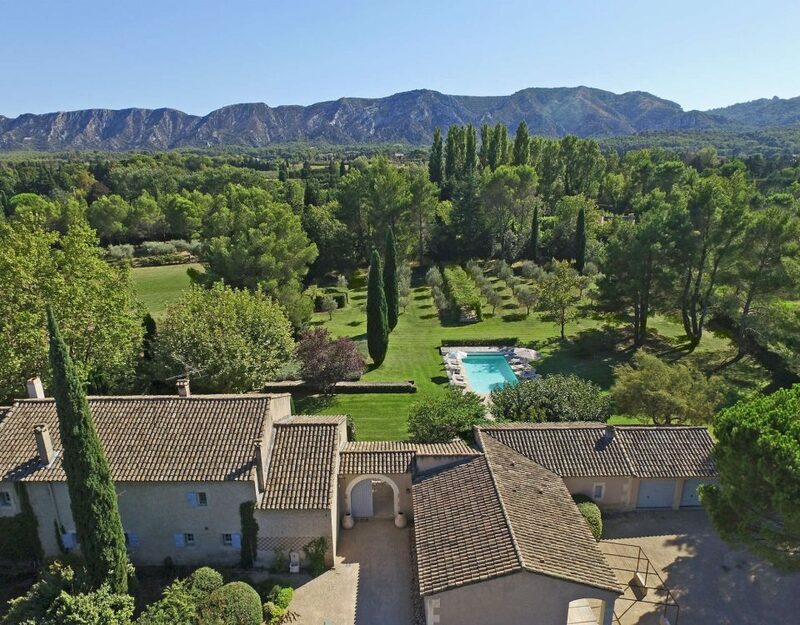 This outstanding estate that consists of a castle, an adjoining farmhouse, a park, a swimming pool on a domain of 17 acres is located in the heart of Rhone Valley. 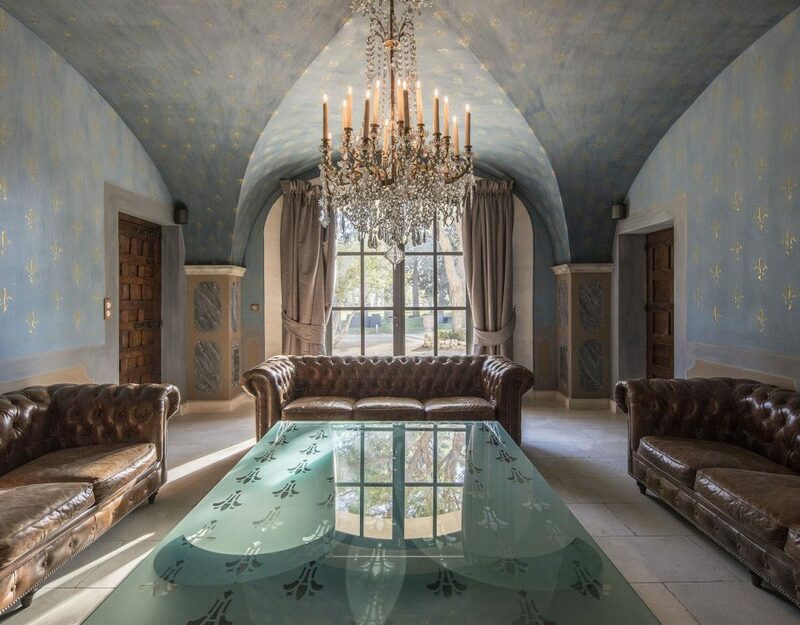 Chateau de Tourreau, built in 1612 and rebuilt in 1760, is one of the most exquisite private property in Provence available for rental. It has been beautifully restored, using traditional colours and paint techniques giving an authentic Provençal feel. 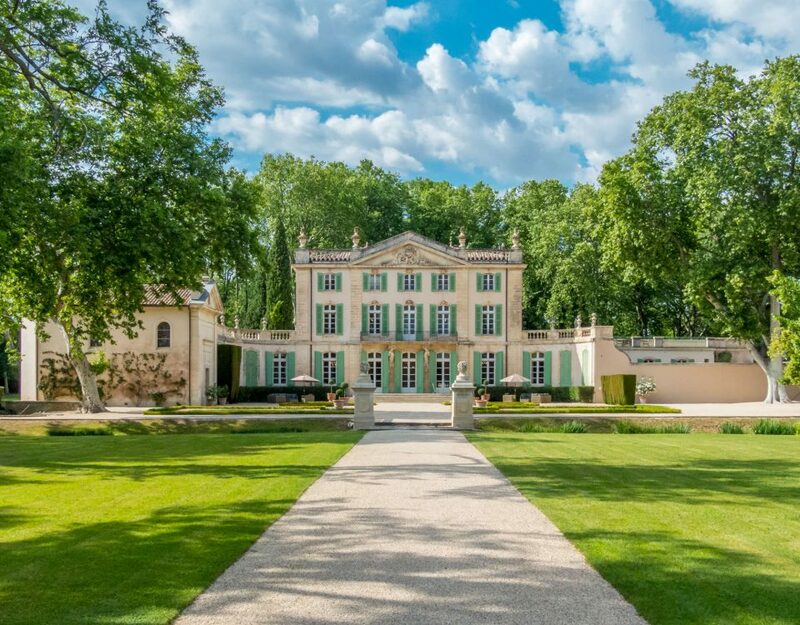 The Château makes an exquisite base from which to explore Provence which offers many historic and cultural sights, shopping, fine wines and food. It can accomodate more than 15 guests. Wi Fi, satellite TV, gym, squash, tennis, basket courts and a beautiful swimming pool makes it the perfect summer luxury Holiday rental or wedding venue. Mas Cornelius is a luxurious property on a private estate just outside the lively village of Saint Etienne du Grès, a 15-minute walk from the shops of the old village. The farmhouse comprises 6 exceptional rooms. All equipped with bathroom and toilet with exceptional bedding and decorated with refinement. A grandiose dining room, 2 bright living rooms, a fully equipped kitchen and a summer kitchen, a magnificent terrace and a heated and secure swimming pool will ensure the comfort of its guests. This superb property offers a privileged setting for weddings, family reunions or simply to spend holidays. Its accommodation capacity is 15 people (with 5 extra beds). Mas Evans is a charming family home located in a landscaped park of 3000sqm. The property offers total privacy and allows everyone to have their activity, be it swimming in the pool, playing croquet on the lawn or dining under the pergola. The Mas offers 275sqm of living accommodation and was totally renovated in keeping with the traditional Provencal style but with ultimate comfort. The property offers 5 spacious double bedrooms, a spacious living room with comfortable sofas, a fireplace, a desk area and a separate library area full of books and games and a very well equipped kitchen. The house can accommodate up to 10 people, ideal for holidays with friends or family. 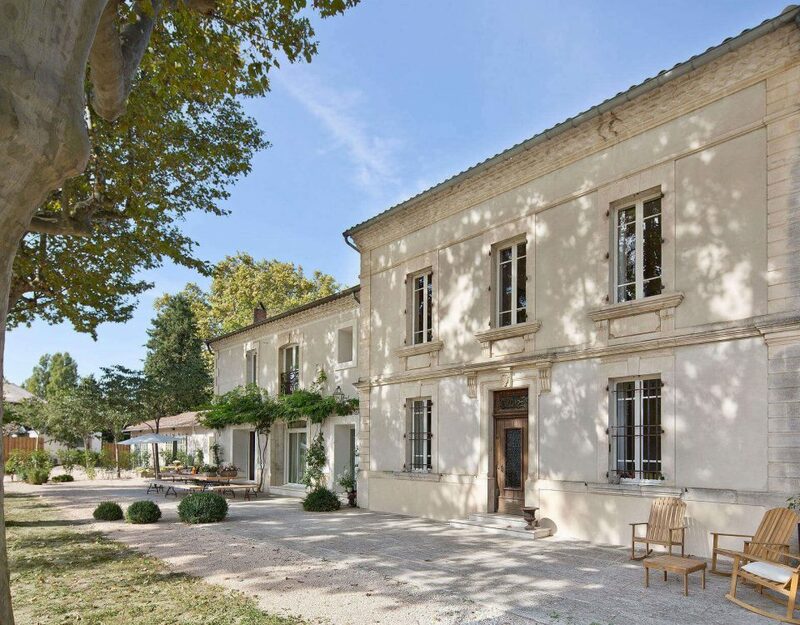 Mas Milord is a delightful luxury Provence farmhouse. It’s set within an expanse of well-tended gardens fringed by ancient trees, a few minutes from the village center. A spacious and luminous living room, a fully equipped kitchen as well as 5 en suite bedrooms can accomodate up to 10 guests. There are four stylish en suites bedrooms. This original property offers a privileged setting for friendly reunions with family or friends and intimate receptions or wellness retreats. Its accomodation capacity is up to 12 guests (10 adults and 2 kids). In the surrounding area you’ll discover many superb cycling and walking trails. But first you'll need to pull yourself away from the magnetic lure of this charming villa in Provence. Ideally located, it offers 5 double bedrooms and 4 bathroom, an extra appartment, a heated and secured long pool, a summer kitchen and 2 living rooms. Mas Olivia sleeps up to 10 people. 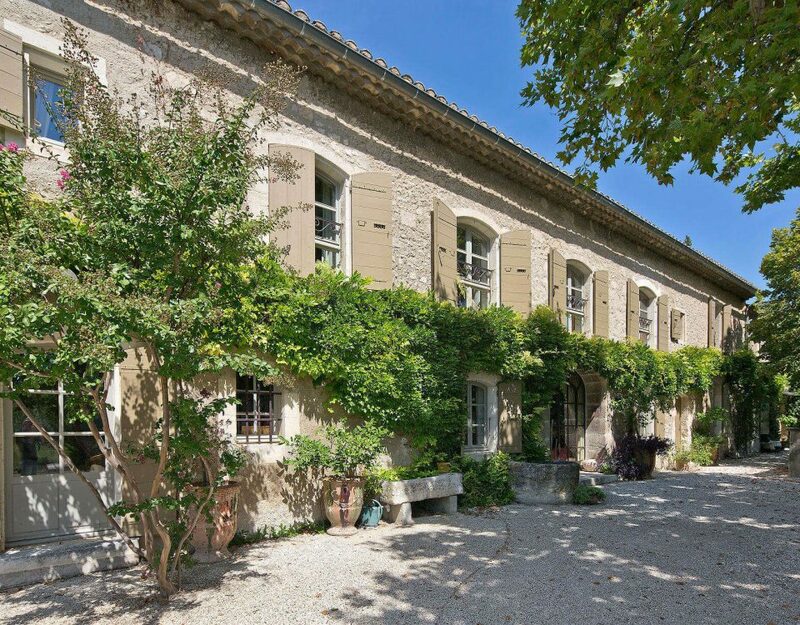 This exceptional farmhouse of 400m² is located 2 minutes from Chateau des Baux de Provence. It is a hidden treasure in the heart of Les Alpiles. The owner has created 5 unique and exceptional double bedrooms for its hosts. The large living room with a fire place, a piano, a pool table makes it a perfect winter retreat. In summer, the pool house equipped with a kitchen and dining table makes it possible to dine and relax in the evening by the pool, even with a strong wind. The villa can accomodate up to 14 people. 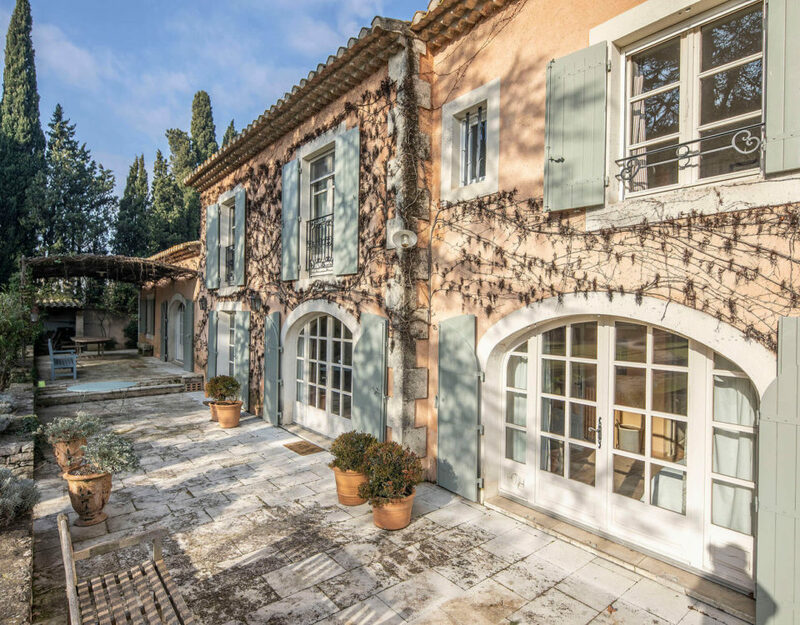 This provencal property is the perfect retreat in saint Rémy de Provence, one of the most beautiful villages in Provence. Close to town, this house is an invitation to serenity thanks to his great parki and superb summer atrium. The owner has done a great job mixing noble materials, colors and fabrics to make this property a warm and comfortable address. The beautiful landscaped garden with private heated pool and fountain will ravish everyone. The villa sleeps from 8 to 10 people in 4 double bedrooms + extra sleeping. The Mas sits at the foot of Les Alpilles hills within an olive grove of 6 acres and has views over to Mont Ventoux and the Luberon hills. The property is just a couple of minutes from the centre of Eygalieres. 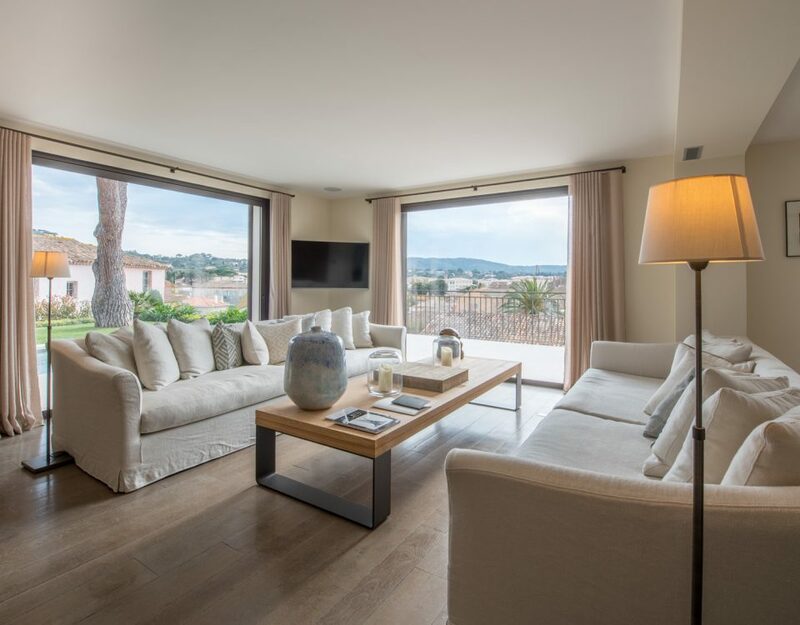 The Mas offers 300m2 of living accommodation and has just been totally renovated in keeping with the traditional Provencal style but with ultimate contemporary comfort. The property offers 5 spacious double bedrooms each with marble bathrooms, a Home Cinema, a spacious kitchen, several terraces, and a big heated pool. 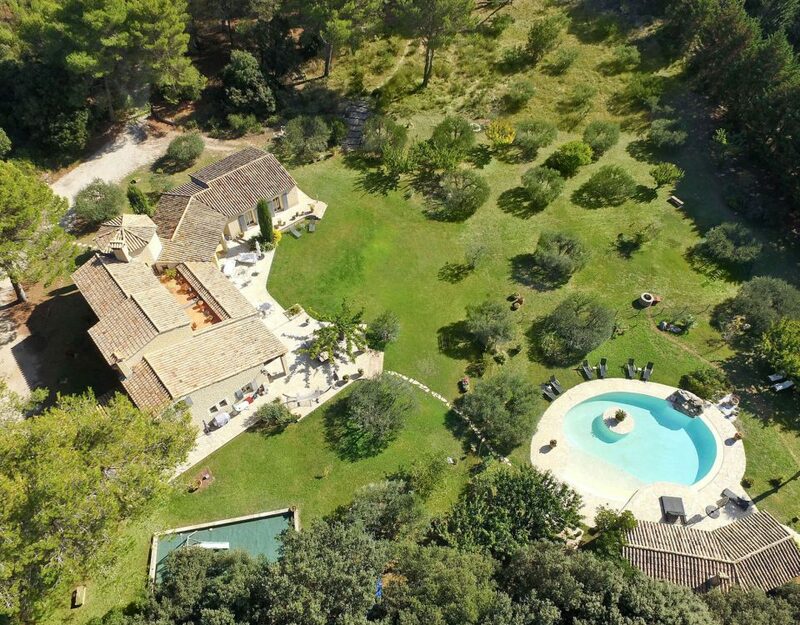 The property is nestled in a unique green environment and enjoys a breathtaking view on Alpilles moutains. 10 guests can be accomodated in this beautiful house. Gorgeous property, located just few minutes from the village center of Fontvieille. 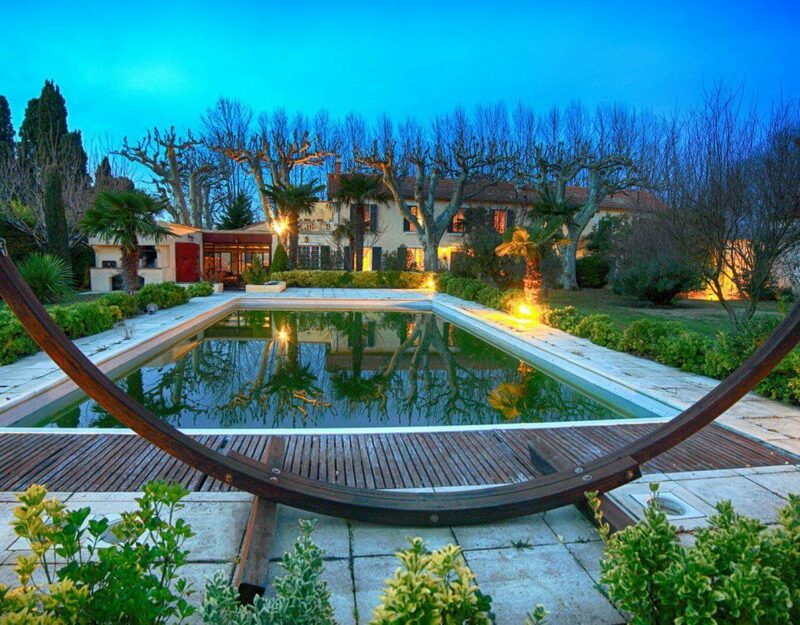 This wonderful " Bastide", entirely renovated features a beautiful pool area, with heated pool and summer kitchen. Its magnificent wooded park and organic garden coupled with an incredible view and sun set on Montmajour Abbey and Arles roofs make it an ideal provençal retreat. Ideally located, this elegantly furnished and decorated property offers 5 double bedrooms with ensuite bathrooms, a home cinéma room and 2 living rooms. Mas des OLiviers sleeps up to 10 people. Bucolic and charming this townhouse is located in the heart of the village of St Rémy de Provence, in a quiet and privileged area. 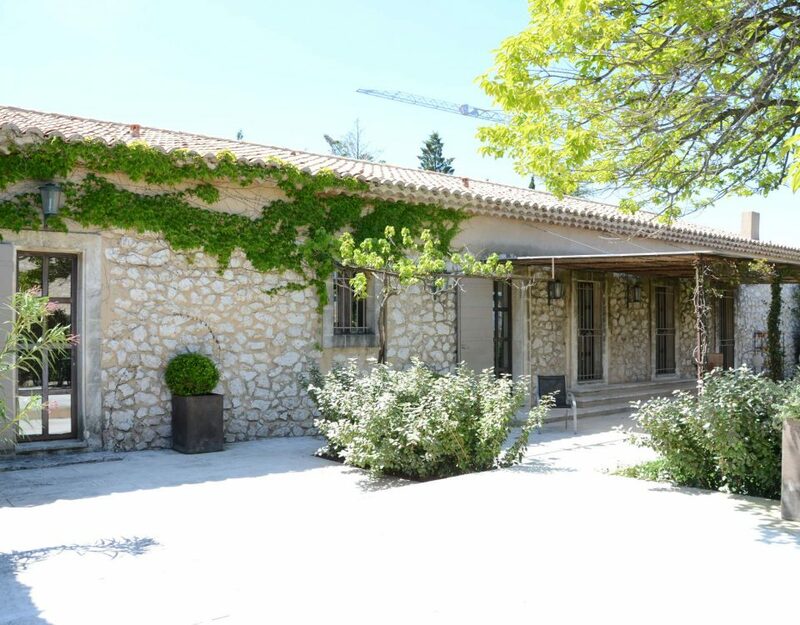 Unoverlooked, this exquisite stone house of 350sqm, facing south, also faces the Alpilles. This fully air-conditionned house develops on two levels connected by 2 staircases. It offers 7 bedrooms with ensuite bathrooms, a pool of 12x4m, a beautiful fenced garden of 800sqm and a fully equipped kitchen. It can accomodate up to 14 guests. You are in the village center, 2 min to all shops and restaurants. 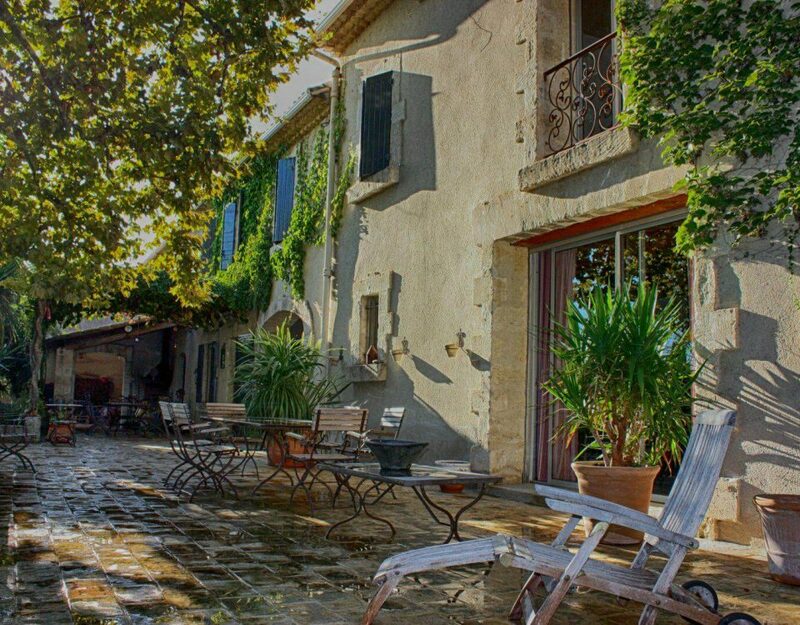 Mas de Verdun has been tastefully renovated and is located south of the village of Saint Remy de Provence. The farmhouse will seduce you with its generous spaces, its beautiful swimming pool and its garden. All rooms are spacious; especially the huge double living room adjoining a spacious and open kitchen overlooking the garden, the petanque pitch, flower meadow and olive grove. The house sleeps 10 people in 4 double bedrooms and an office with sofa bed, a spacious living room with comfortable sofas, a fireplace and a desk area. You are 2 min drive to the village. This superb mansion hidden in the vineyards and fields is a haven of peace. Exclusive address, the property is dressed in noble materials and divinely decorated. It is located 5 minutes from Maussane les Alpilles.. Fully air conditioned, it offers 4 double bedrooms and bathroom, a mezzanine for 2 children. 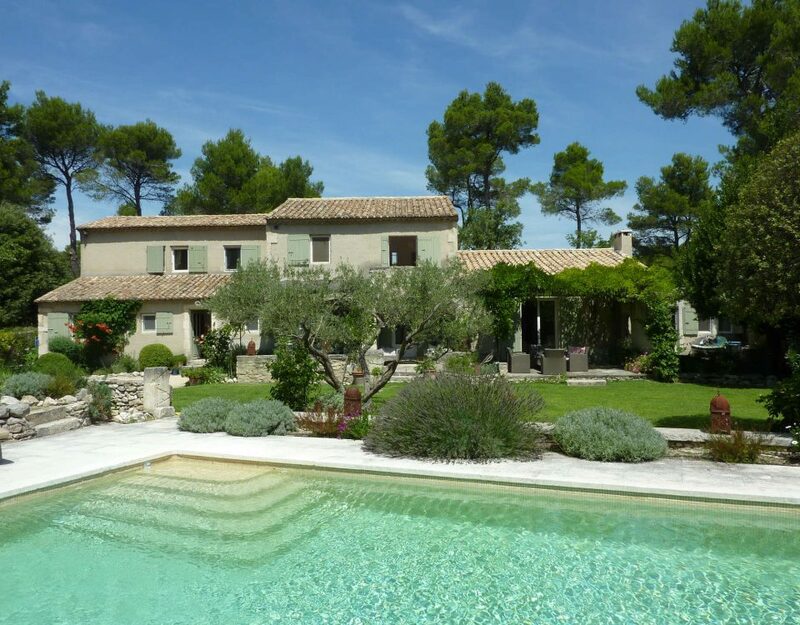 The heated pool, pétanque pitch, 2 terraces and 2 living rooms insure the privacy of each. Mas Folie douce sleeps up to 10 people. 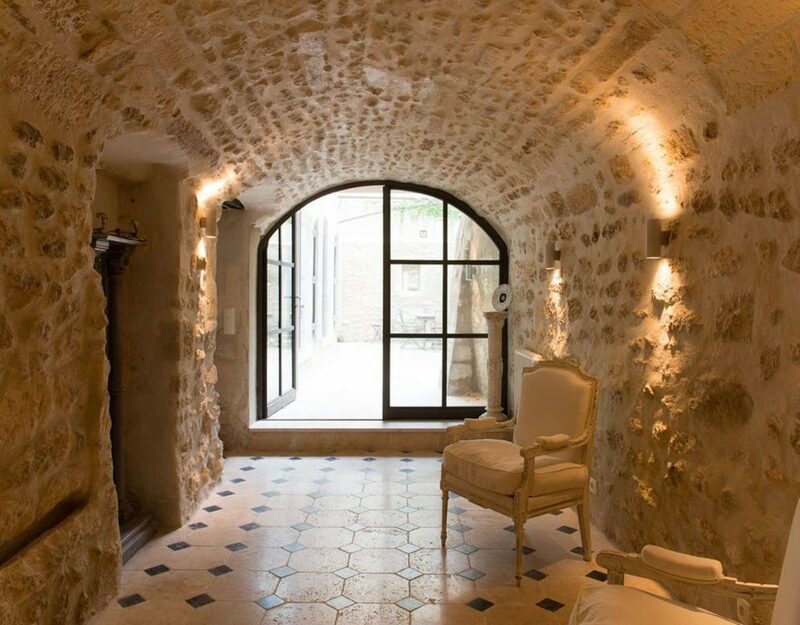 This beautiful and spacious stone house has been renovated with traditional provençal interiors and fabrics by her dedicated owner. Seated just outside the Provencal village of Saint Rémy de Provence and 15 minutes away from Avignon, the house benefits of unique natural environment. Featuring 5 double bedrooms with 5 bathrooms plus a single bedroom, Mas Bucolic can accommodate up to 11 guests as of April 2019. The secured heated pool, the tennis court and the game room will ravish everyone. The house is fully air conditionned , that is a real plus in the hot season. it is the perfect Holiday house. This townhouse is located in the center of Maussane. It offers 2 spacious living rooms, a large kitchen with fireplace, a spacious dining room, 5 double bedrooms. The rehabilitation was done by giving a second life to the farmhouse and its old stones.The sheepfold has become a library, the horse box a pool-house. 3 spaces for relaxation: the dining terrace and its Zen garden, the heated pool and its loungers and finally the pool house and its comfotable sofa. The mansion can accomodate up to 10 adults. 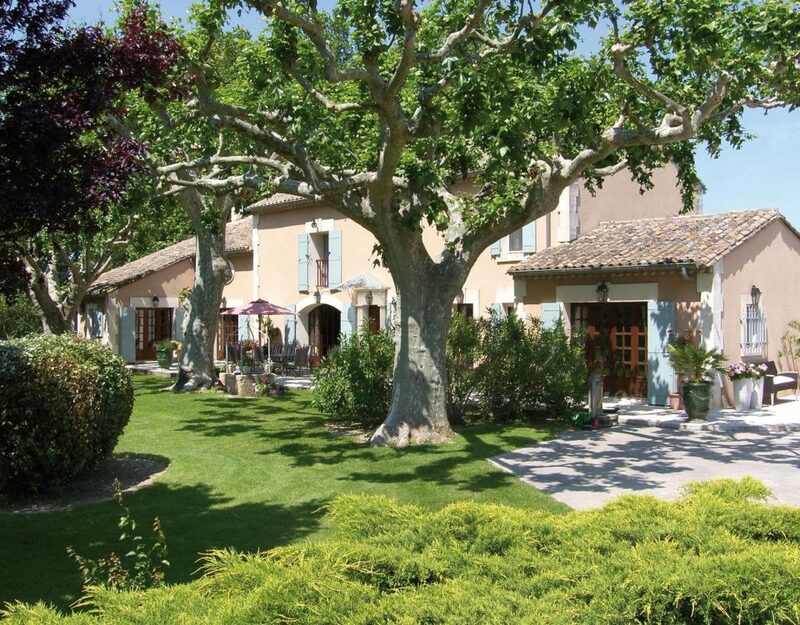 Authentic, comfortable and charming, Le Mas des Vignes is located a stone’s trow from the village of Cabannes, in a quiet and privileged area. Surrounded by vineyards, this farmhouse of 400sqm is a haven of peace. It has been completely renovated and offers 5 spacious bedrooms with ensuite bathrooms, an extra apartement, a large and secured swimming pool and a fully equipped gym. The farmhouse can accomodate up to 10 people (12 + with the additional appartment). Remarkably restored and decorated by its owner, this private mansion is located just outside the walled historical village of Noves. The owner has created 2 unique and exceptional suites and 2 double bedrooms for its hosts. The large living room and kitchen with a fire place each makes it a perfect winter retreat. In summer, the pool house equipped with a kitchen and dining table makes it possible to dine and relax in the evening by the pool. The villa can accomodate up to 10 people. Le Mas des Anges is aptly named. Ideally located at the end of an alley of cypress trees, this farmhouse of a refined elegance is a true haven of peace. Surrounded by fields and close to amenities, this farmhouse from the 17th, has been fully renovated and is now an ideal place for holidays with family or friends. It offers 4 spacious bedrooms, 2 with en suite bathrooms, a mezzanine library, a beautiful park and a heated swimming pool of dimension 6x12m. It can accomodate up to 10 people. 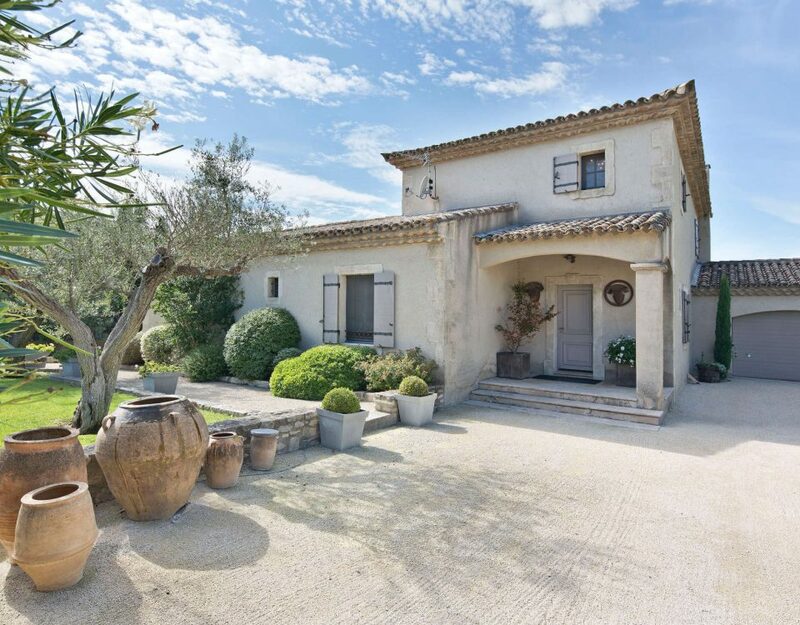 This beautiful family house located in the heart of the village of Cabannes, 10 min from Saint Rémy de Provence and Avignon is a real haven of peace. One min to commodities, this beautiful designed family farmhouse with charming design features seven bedrooms, The large pool and lawns, the spacious rooms and living rooms makes it a perfect place for large family reunions. With a prime location in the heart of the village of Mouries, the very home of French olive oil, this house is an invitation to serenity. Here, everyone lives according to his desires: relaxing by the pool, strolling in the village, golfing in Servanes Golf, shopping in Arles (20 min drive). This property will bring unparalleled pleasure to its guests: a refined contemporary design, real luxury and a beautiful landscaped garden with private pool. The villa can accommodate up to 8 people. This house has a unique style. Its gypsies trailers, and its pine park make this property an ideal Provencal holiday rental. This air conditioned house offers 4 spacious double bedrooms and 4 bathrooms, a secured 6 x 12m pool in a beautiful park planted with pines. Wit hits greek style park and the house can accommodate up to 8 people. 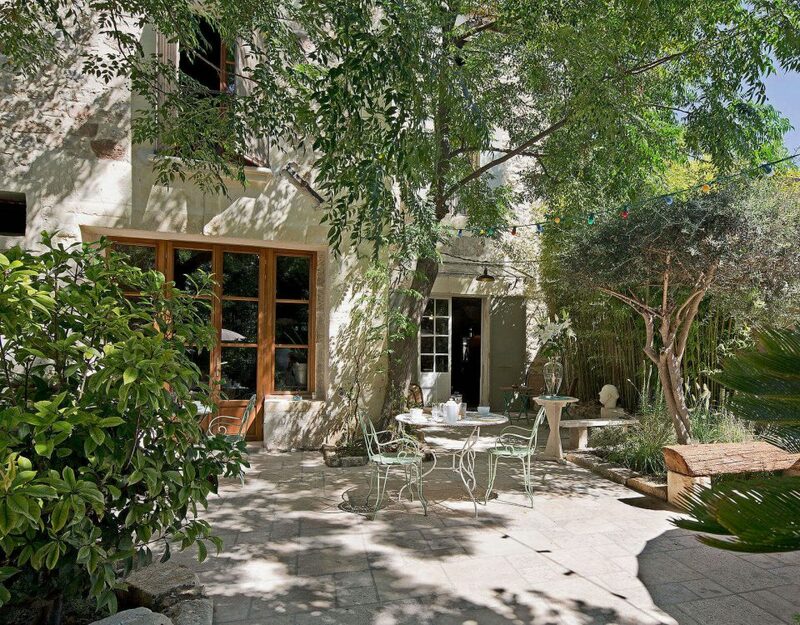 Bucolic and charming this townhouse is located in the heart of the village of St Rémy de Provence, in a quiet and privileged area. 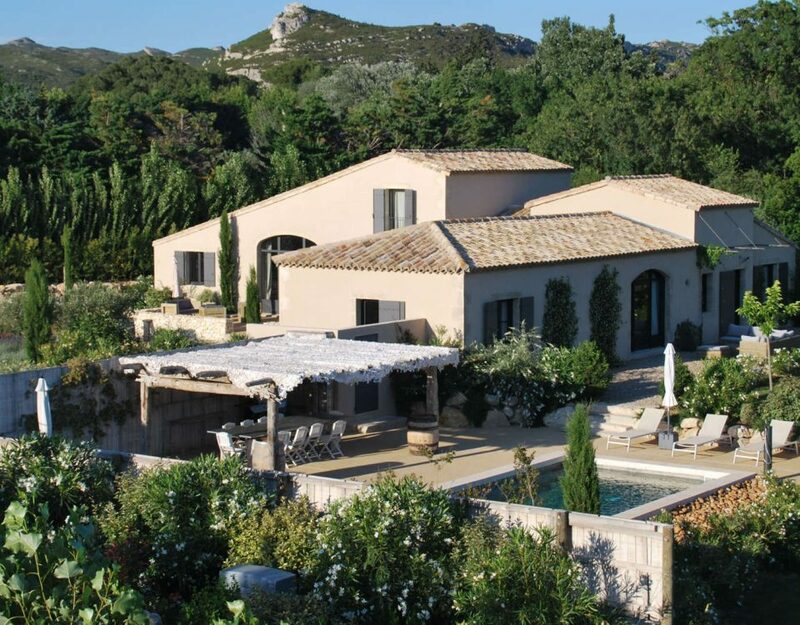 Unoverlooked, this exquisite stone house of 400sqm, facing south, also faces the Alpilles. This fully air-conditionned house develops on three levels connected by both stairs and a lift. It offers 5 bedrooms, an equipped office, a heated pool of 12x4m, a beautiful fenced garden of 800sqm and a separate apartment. It can accomodate up to 14 guests. Mas Julian is located a stone's throw from the village of Fontvieille. This old farmhouse has 4 spacious bedrooms with en-suite bathrooms in the house, an independent mazet for a family of 4 with 2 double bedrooms and 2 bathrooms privativ. A music room with a piano, a spacious lounge and a majestic fireplace, a long terrace in the shade of a pergola of wisteria, a beautifully maintained park made of restanques complete the whole.
. Beyond a charming little bridge over a stream, a beautiful heated pool of 12 x 6m will delight the children and parents. 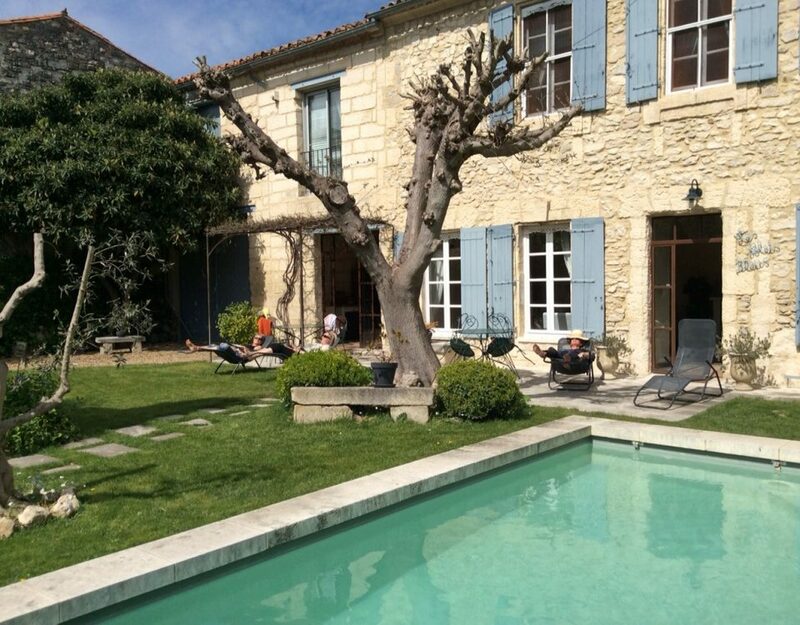 The Mas des Oliviers can accommodate up to 14 people thaks to its troglodyte extra cottage reserved to teens. This superb townhouse is located in the heart of the village of Maillane. 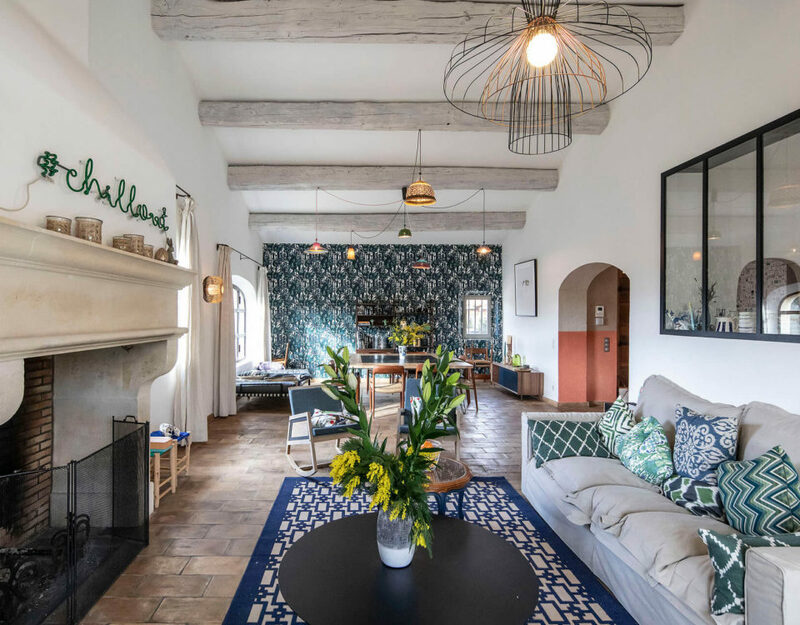 Renovated with taste and dressed with a tasteful provençal French interior, the house is 15 minutes from Avignon, Arles 20 min and 45 min from Marseille airport. Ideally located, it offers 3 double bedrooms and 2 bathrooms, a large terrace. The pool and the proximity of stores and shops make a great and convenient Holiday home. Mas Volets Bleus sleeps up to 6 people. This modern property is a jewel of architecture. Situated in the Maussane area, one of the most beautiful villages in Provence, this house is an invitation to serenity. Here, everyone lives according to their desires: relax by the pool, stroll through the village, Golf at the 18-hole Golf de Servanes, shopping in Arles (20 minutes by car). Behind the facades, the designer has done a fabulous job mixing noble materials, colors, to make this property a warm and luxurious address: a refined contemporary design, a real luxury and a beautiful landscaped garden with private heated pool. The villa sleeps up to 8 people in 4 double bedrooms. Modern and charming, the Mas Mistral is located 2 steps from the village of Eyaglières, in a quiet and privileged environment. On a park of 2200m2, this farmhouse of 220 m2 is a haven of peace. It has been completely renovated and offers 4 spacious bedrooms and 3 private bathrooms, a large swimming pool secured by a shutter and a pool house with outside doche. Its capacity is 8 adults. 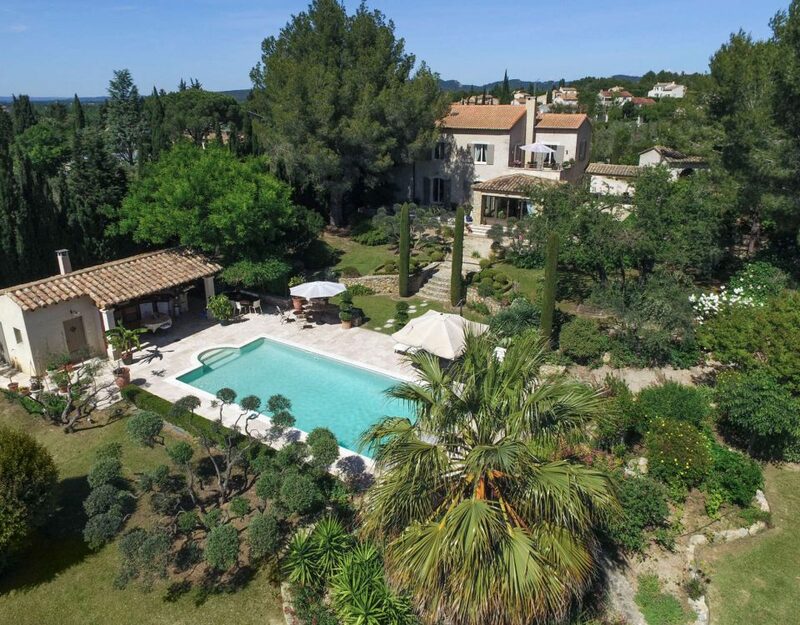 This magnificent villa is located in the heart of the village of Saint Remy de Provence. Renovated with taste and dressed with a modern interior, the house is 15 minutes from Avignon, Arles 20 min and 45 min from Marseille airport. Fully air conditioned, it offers 4 double bedrooms and 3 bathrooms, a large terrace. The heated pool, the comfort of air conditioning and the nearby shops make a great holiday home ideally located. Mas Aria sleeps up to 8 people. 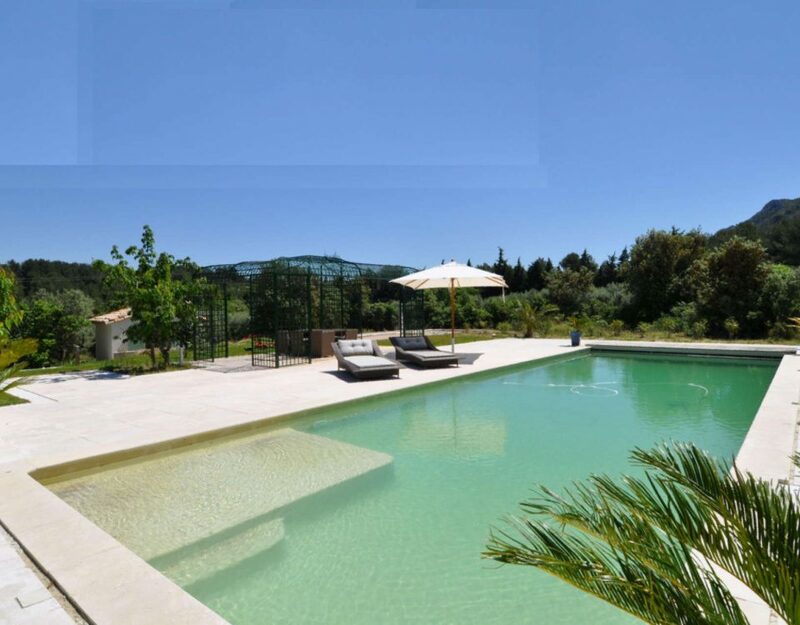 Exceptional holiday rental, this villa of 220 sqm is located on the 18 hole golf resort of Les Baux de Provence, a short walk from the city center of Maussane. 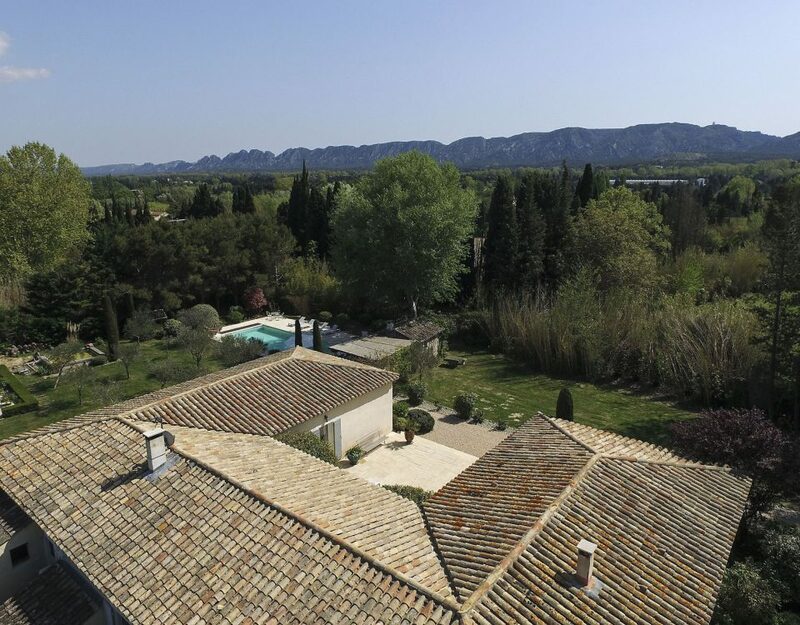 The villa enjoys superb views over the Alpilles. The villa features 4 bedrooms and 4 ensuite bathrooms, a private terrace. Its exceptional location allow guests to have priviledged access to the hotel facilities such as the golf practice, spa, and kids' club. THe villa can accomodate up to 10 people. 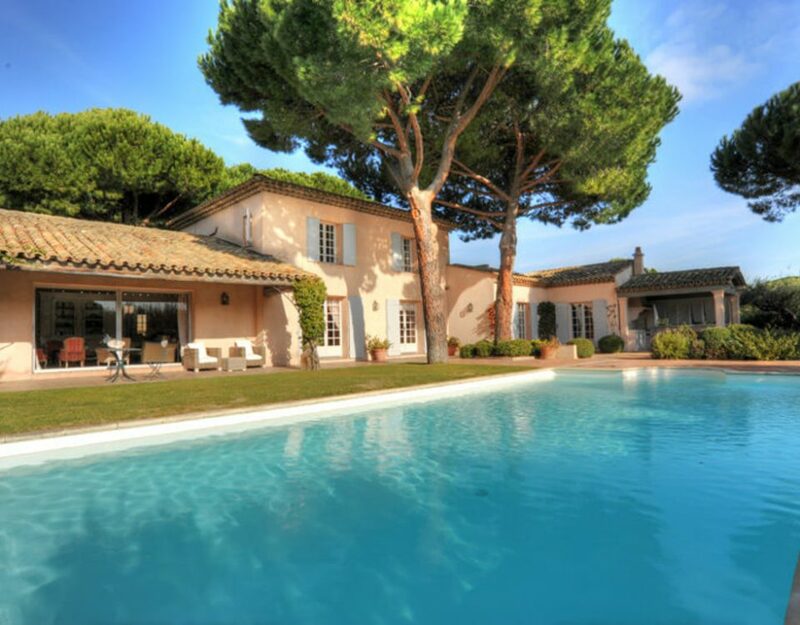 This mansion is a true Provencal jewel: heated pool, air conditioning, privacy, calm and luxury. In a quiet street in the center of Maillane, this authentic Provençal house enjoys a beautiful sheltered courtyard with its 5x3 m pool and shaded vine. 4 bedrooms and 3 bathrooms can accommodate up to 9. You are in the heart of the village but 20 minutes from the Avignon TGV station and 45 minutes from Marseille. This modern property is a jewel of architecture. Situated in Eygalières village, one of the most beautiful villages in Provence, this house is an invitation to serenity. 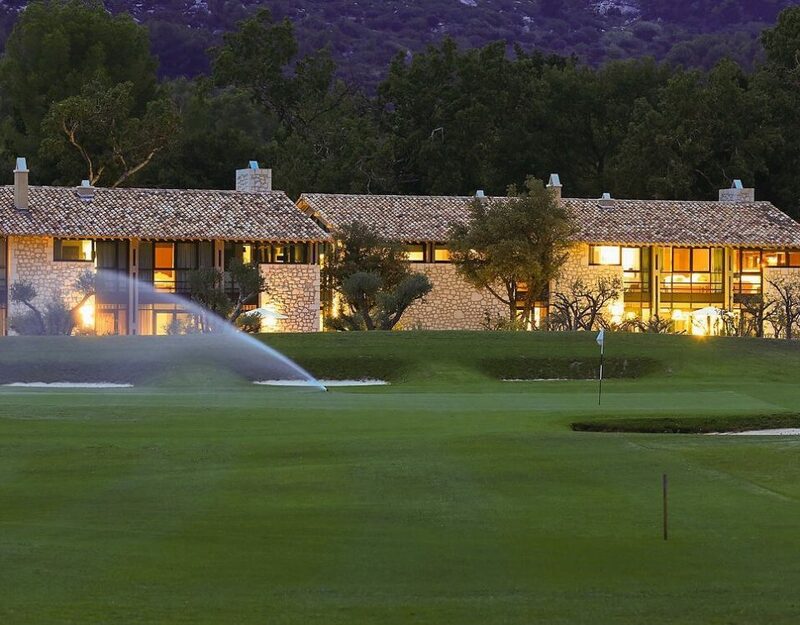 Here, everyone lives according to their desires: relaxing by the pool, strolling in the village, Golfing at the 18-hole Golf Course of Servanes, shopping in Arles, Aix en Provence or Avignon. Behind the facades, the designer has done a fabulous job mixing noble materials, colors, to make this property a warm and luxurious address: a refined contemporary design, a pretty landscaped garden with private lap pool. The villa sleeps up to 8 people in 4 double bedrooms. This elegant contemporary villa of 180sqm is of recent construction and offers great benefits: Home Cinema, Bose sound system, new bedding etc. The greatest care has been taken in its decoration and furnishing and make this property a luxurious and contemporary residence in the heart of the village of Saint Remy. Its accommodation capacity is 10 guests. It offers 5 double bedrooms and 3 bathrooms and especially enjoys a location in the heart of the village. The house is fully air conditioned and offers many spaces preserving the privacy of each. 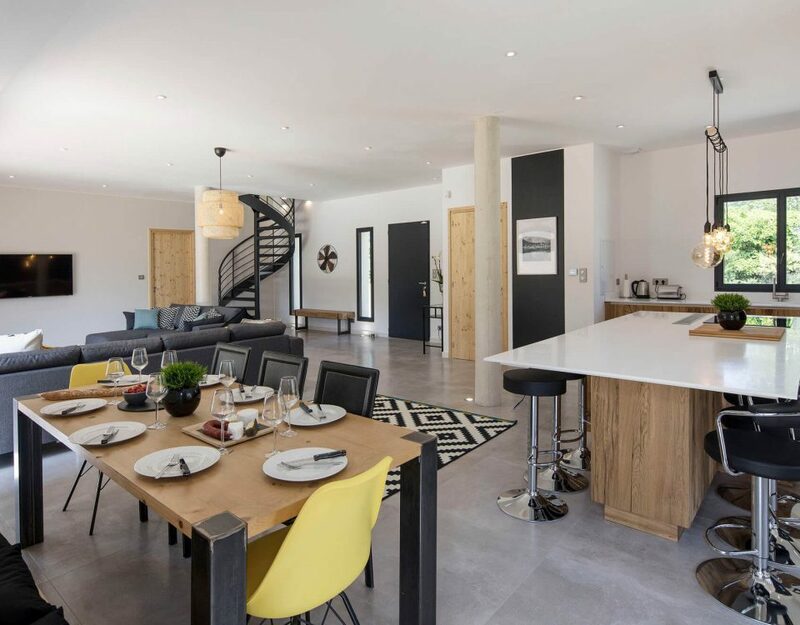 Contemporary in style, this loft is located in the center of the Provencal village of Saint Rémy de Provence, 20 minutes from Avignon. Featuring 4 bedrooms with 2 bathrooms, the loft is ideal for design lovers. Enjoy arty atmosphere, discover the different cities and surrounding villages: Avignon, Arles, Sorgue, Gordes. Offering a terrace with a view and a game room, the loft is ideal for festive evenings with friends or for family vacations. It is also 2 steps fro all shops and restaurants and above the bakery. The St Rémy loft can accommodate up to 10 guests. 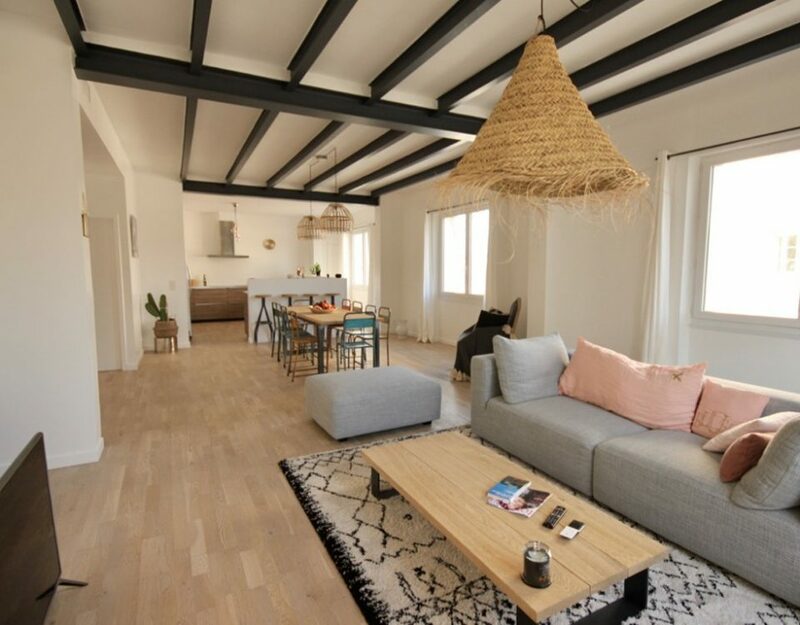 Contemporary in style, this loft is located just outside the Provencal village of Noves, 5 minutes from Avignon. Featuring 3 bedrooms with en suite bathrooms, the loft is ideal for design lovers. Enjoy arty atmosphere, discover the different cities and surrounding villages: Avignon, Arles, Sorgue, Gordes. Built around a large patio with a heated pool in its center, the loft is suitable for festive evenings with friends. The loft can accommodate up to 6 guests. The villa offers 3 spacious double bedrooms with private bathrooms, a large living room opening onto the terrace and heated pool, a fenced not overlooked park. In the heart of the village of Saint-Tropez, this exceptional property of 245 sqm is located a few steps from the Place des Lices and the marina, on a landscaped park of 300 sqm with heated pool. This gem features 4 double luxury bedrooms with ensuite bathrooms and can accomodate up to 8 guests. Villa Marianne is a gem. Very comfortable, this residence benefits of the clean lines of an elegant and timeless interior. Its refined atmosphere, invites to the well-being, the idleness of the village life in St Tropez. Walking distance to the beach and just 1.5 miles from St Tropez lies this sophisticated and tastefully finished, air conditioned seaside villa with panoramic views of the sea from each of the rooms. The villa offers 4 double bedrooms with ensuite bathrooms, an infinity heated pool, a jacuzzi. 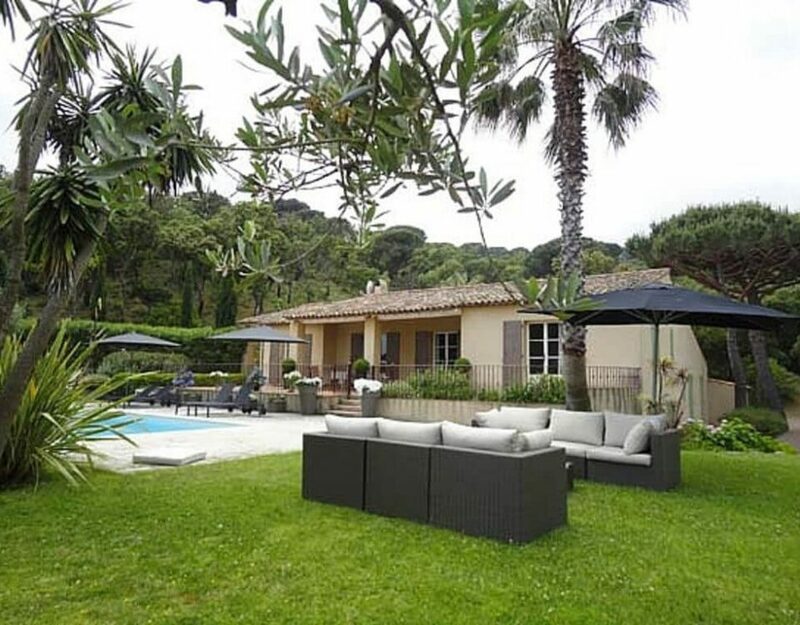 Located 2 steps from the glof course of Gassin, it is an easy walk to the center of St Tropez. The mansion can accomodate up to 8 guests. Standing proud on the beachfront, Villa Ocean has many to offer. 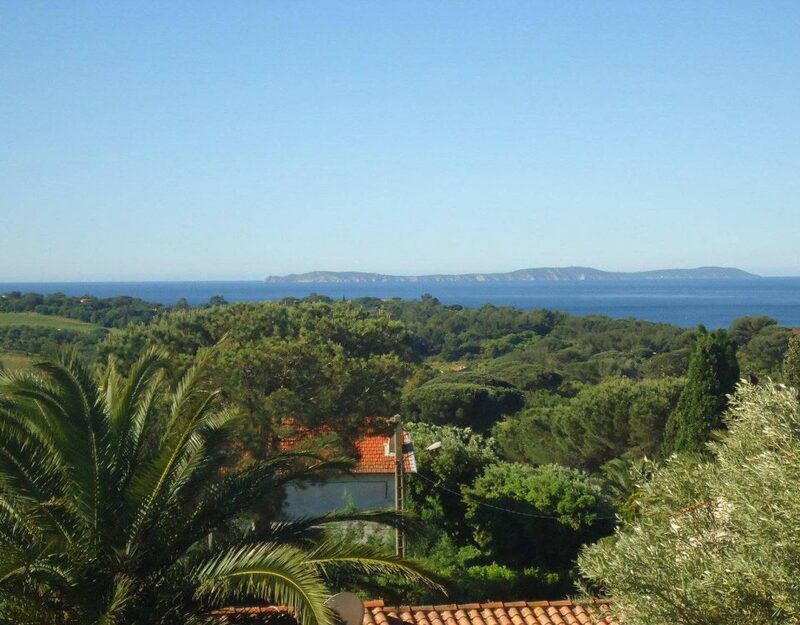 This Period villa with direct access to 2 wild beaches is 2 steps away from St Aygulf 's shops, restaurants, and a short distance drive to Sainte Maxime. From the mediteranean garden, one has a unique view point over this unspoilt part of the mediteranean see. Villa Ocean can accomodate up to 12 guests in 6 bedrooms with en-suite bathrooms. Villa Agatha is located in the middle of vineyards, near the famous beaches of Pampelonne and Escalet. Located in a very quiet place, offering total privacy in a peaceful setting, this is the ideal holiday home to relax and enjoy life, while being close to Saint-Tropez 8 km and 4 km from the beaches . The villa sleeps 8 people in four bedrooms with en-suite bathrooms. The spacious open living room and dining room with French windows open onto the covered terrace and allow you to be inside and outside. Villa Prelude is a contemporary villa boasting an infinity pool and a splendi view across countryside to the Mediterranean sea and St Tropez gulf. is laid out over four levels and the views can be enjoyed from every rooms on every floor. There is a large choice of restaurants and cafes in the charming medieval perched village of Grimaud just 5 km from the villa. St Tropez itself is less than 16 km away - there are restaurants, cafes, art galleries and boutiques galore here too of course, the old town is charming and well worth visiting, and the Tuesday and Saturday markets held on the Place des Lices are full of local life. Villa Prelude offers 4 double bedrooms with en-suite bathrooms, a heated infinity pool and can accommodate up to 8 people. Villa Praya Mer is located on Escalet Beach near Ramatuelle, with magnificent uninterrupted views of the Mediterranean Sea, with a private path leading from the garden direct on to the beachfront. Villa Praya features an entrance hall leading to the living room, open plan with dining room and kitchen and is comfortably furnished with a large sofa set around the fireplace, and large French windows overlook the garden and the sea. This beautiful beach front property offers four bedrooms and can accommodate up to 8 guests. Saint Tropez is 11 kms away. This contemporary villa is ideally located in a quiet area of Biot, 20 minutes from "La Croisette". It offers panoramic views of the sea and the hills. On the ground floor, the villa comprises an entrance hall, a living room, a fully equipped kitchen, two bedrooms with en suite bathrooms. On the first floor, a master bedroom with office and en suite bathroom and a second bedroom with bathroom. The house can therefore accommodate 8 people. The heated pool and the air conditionning are much appreciated. Villa Biot is a real gem. The view is breathtaking! 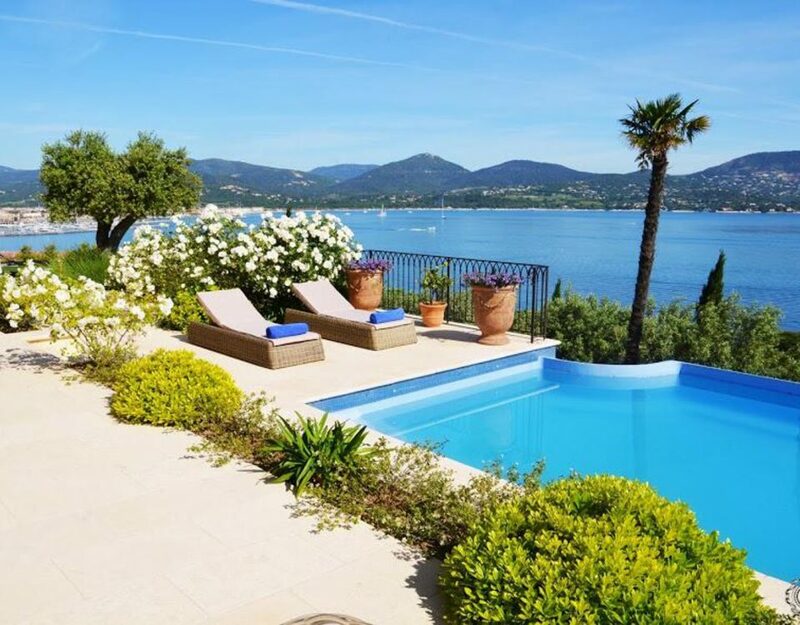 Luxury St Tropez Villa within walking distance of Tahiti Beach on Pampelonne Bay and just a five-minute drive from St Tropez, Villa Tahiti of 300 sqm.is a stunning, elegant property with a heated pool and garden. . 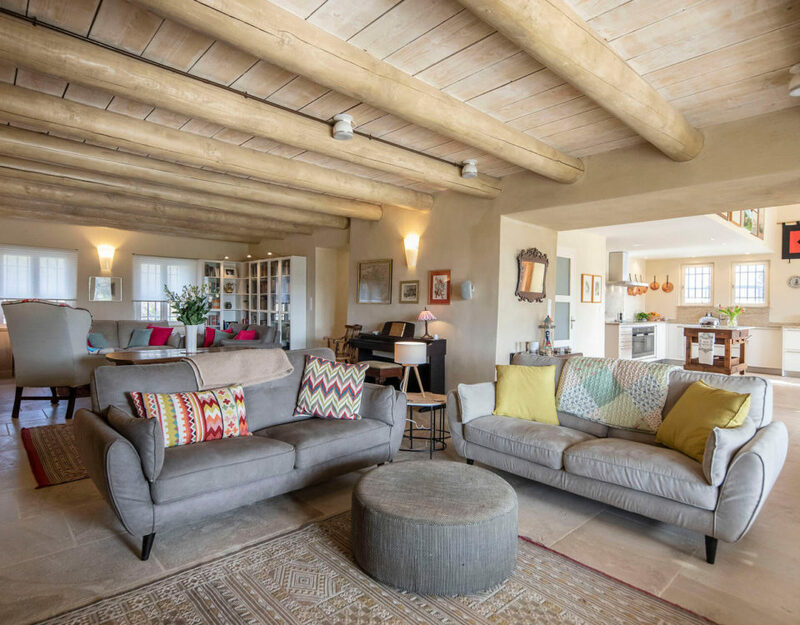 This fully air-conditionned house is beautifully decorated and furnished in a modern Provencal style using a tasteful combination of cream, neutral and pastel colours. It offers 4 bedrooms with bathrooms and a family suite. It can accomodate up to 12 guests. You are 5 min drive to Saint Tropez center. 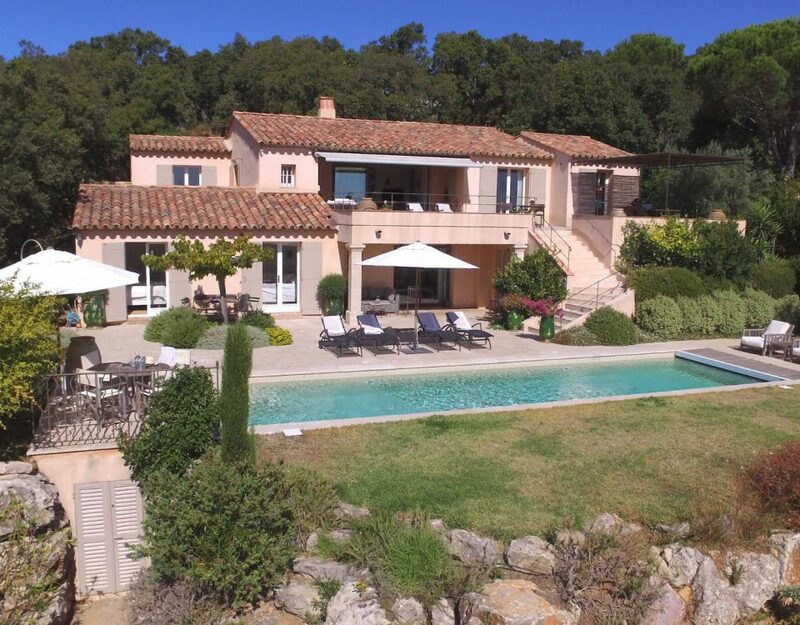 Villa Aurora is a beautiful property located 5 minutes from Saint Tropez with direct access to the beach (400m). The property offers 6 bedrooms and 5 bathrooms. The villa is very nice, bright and spacious, with fireplace and large covered terraces. You are close to the center of the village while enjoying a quiet environment. The house can accommodate up to 10 people. 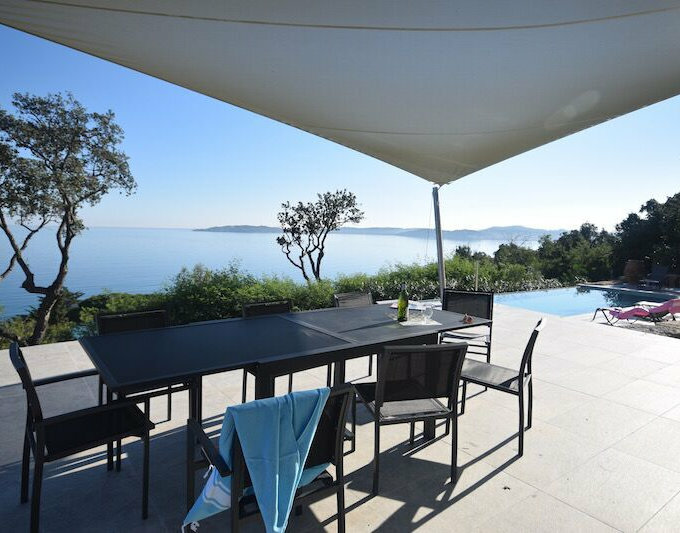 This newly refurbished villa is situated in an exceptional location 700m above the beach of Aiguebelle: a small path of 400m allow you to reach the beach within 1 minute. Wake up every morning to the breathtaking view of Mediterranean Sea and enjoy breakfast from the covered terrace before taking a refreshing dip in the beautiful infinity pool. The villa can accomodate up to 8 persons in 4 double bedrooms. Lunaris Villa is a contemporary house, located in the Gulf of Saint Tropez with stunning views of the Mediterranean Sea. This villa enjoys a privileged location, 250m from the beach, restaurants, wine bars, boutiques and art galeries. The villa offers 6 rooms with private shower (one for disabled), a huge kitchen open to a living room. The heated infinity pool is gorgeous. Ideal for people with reduced mobility, the house is also accessible by sea and can accommodate up to 12 people. 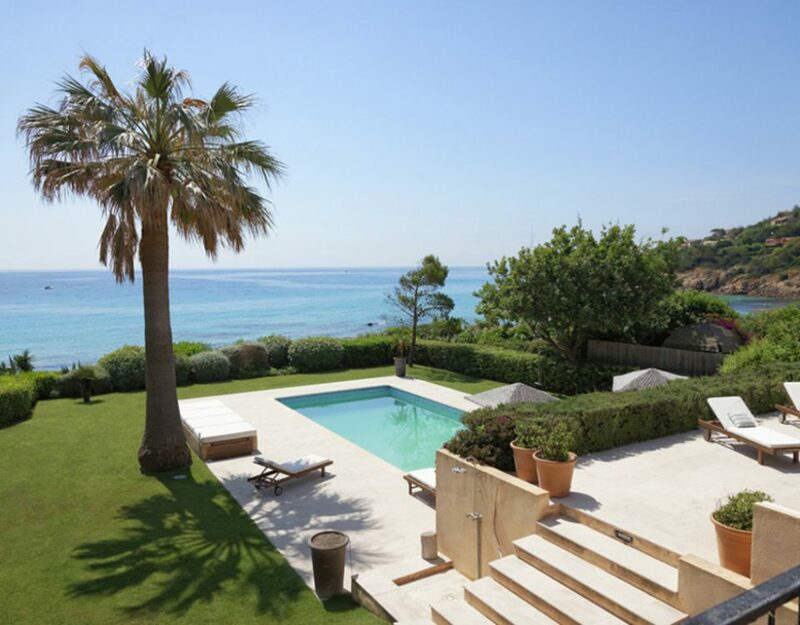 Villa Blanca is a sophisticated and extremely well-presented contemporary villa boasting an infinity heated pool and a superb far reaching view across to the sea and St Tropez just 14 km away. Villa Blanca makes the most of its hillside position, it’s tranquil location, minimalist style, the living accommodation is laid out over two levels and the views can be enjoyed from rooms on every floor. Internally the villa is spacious and cool, tastefully refurbished in an easy-living, modern style, and air-conditioned throughout, which is a real bonus in the summer. It offers 4 double bedrooms with en-suite bathrooms, a heated pool and can accommodate up to 8 people. 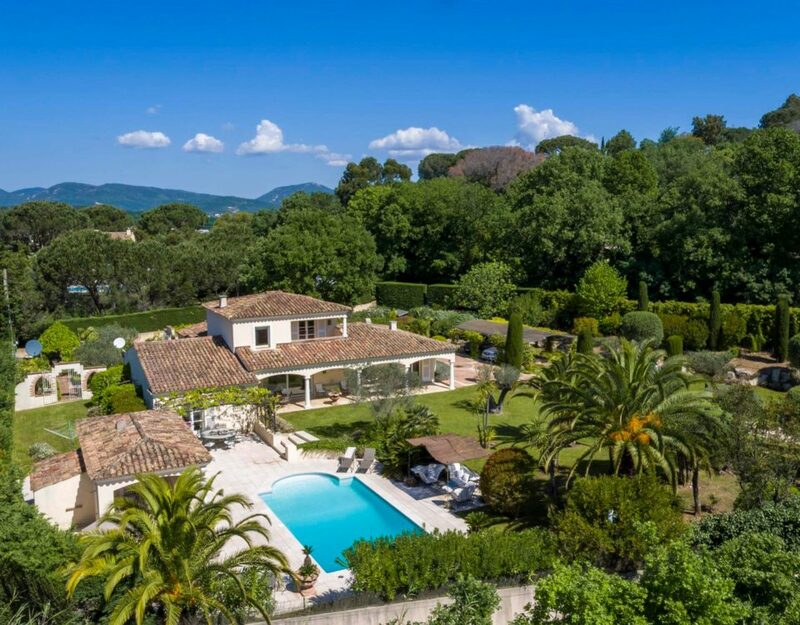 This exceptional villa of 400m² is located 2 km from Gassin and 12 km from St Tropez. The Villa Opium is bright and airy with large windows, creating a fluid space where comfort interior and exterior mix to open onto the covered terrace, garden and heated pool. The villa is fully air conditioned and offers 5 bedrooms with shower room, a spacious living room with fireplace. It can accommodate up to 10 people. 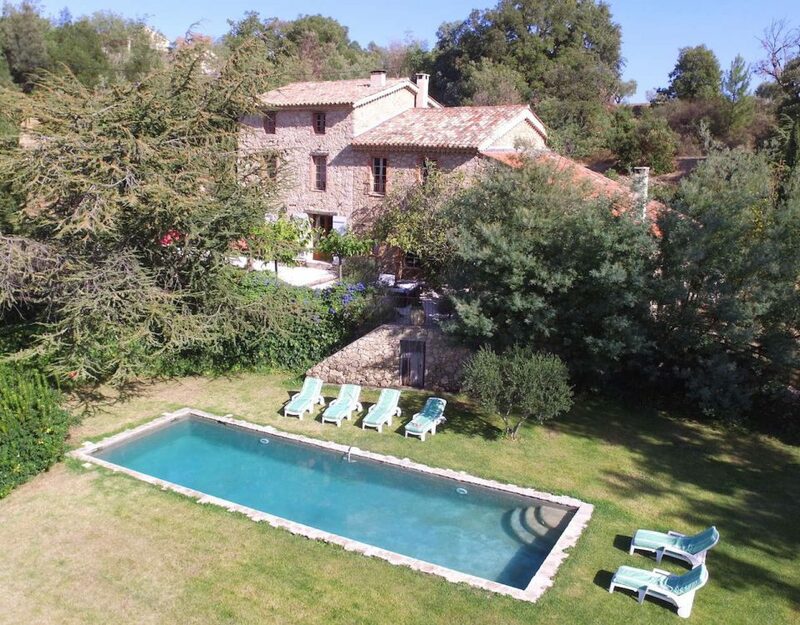 This superb property is located below the medieval village of Grimaud with views of the surrounding countryside, the mills and the heated castle. Fully air-conditioned, Villa Serenity is beautifully decorated and furnished in a modern Provencal style using a combination of pastel colors. It offers 5 bedrooms with bathrooms and can accommodate up to 12 people. You are 15 minutes walk from Grimaud. 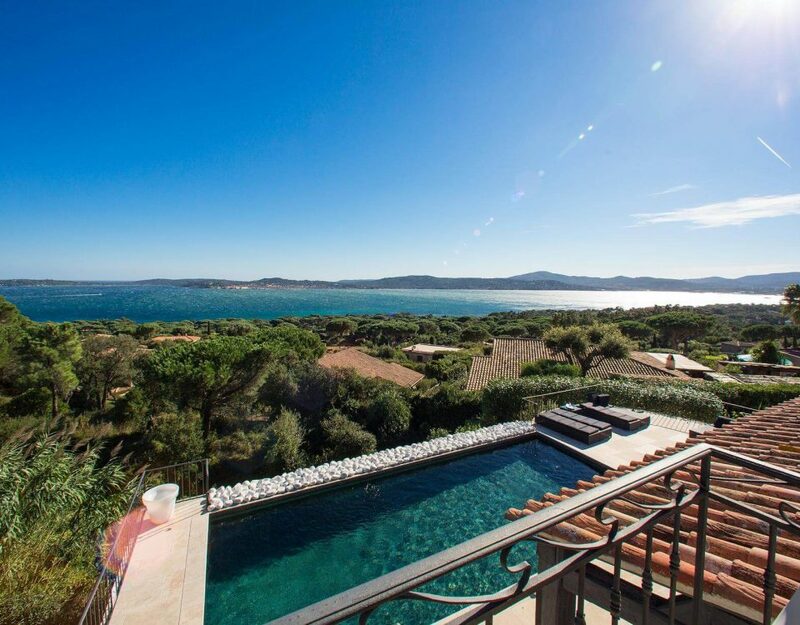 Villa Splendia is a beautiful property nestled in the Maures and along the Gulf of St Tropez, 2 km from the village of Grimaud. The villa offer 5 double bedrooms whith ensuite bathrooms and breathtaking views of the sea.Infinity heated pool, a spacious living room with fireplace and large covered and outdoor terraces will ravish everyone. Five spacious air-conditioned double bedrooms with TV, decorated with contemporary paintings, a dorm for kids that is also a fantastic playground, a large indoor lounge and a large outdoor summer seating overlooking a heated pool of dimension 8x4m . The villa can accomodate up to 14 people. 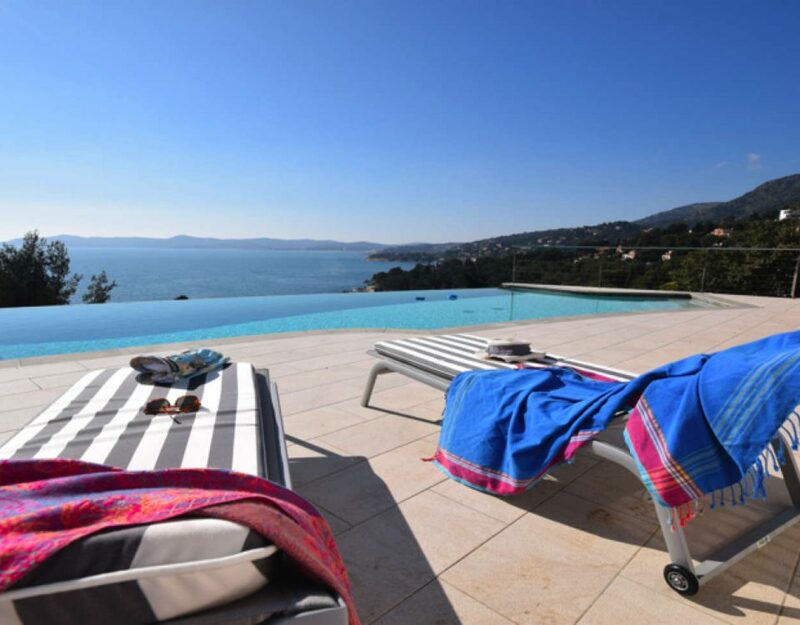 Villa Ibis is a superb property on a private domain near St Tropez, just a short walk to the lovely Escalet beach. 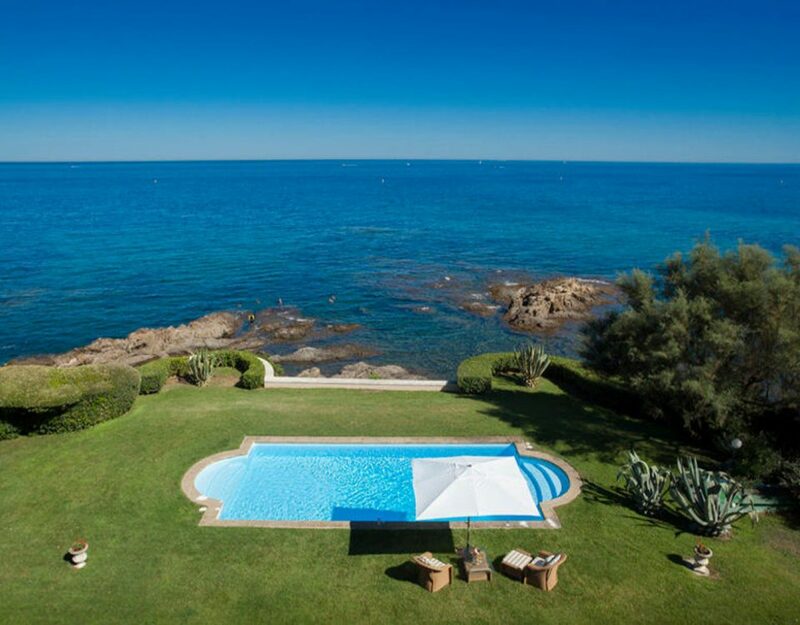 This exceptional villa is a a find: infinity pool and sea views, comfort, privacy, calm and luxury. 4 km to the beach of Pampelonne, lies this gem on a terraced landscape. The villa offers 4 double bedrooms and can accomodate up to 8 guests. Villa Boravy is just 15 minutes walk from Saint Tropez by a small road that takes you to the Place des Lys or the harbor. 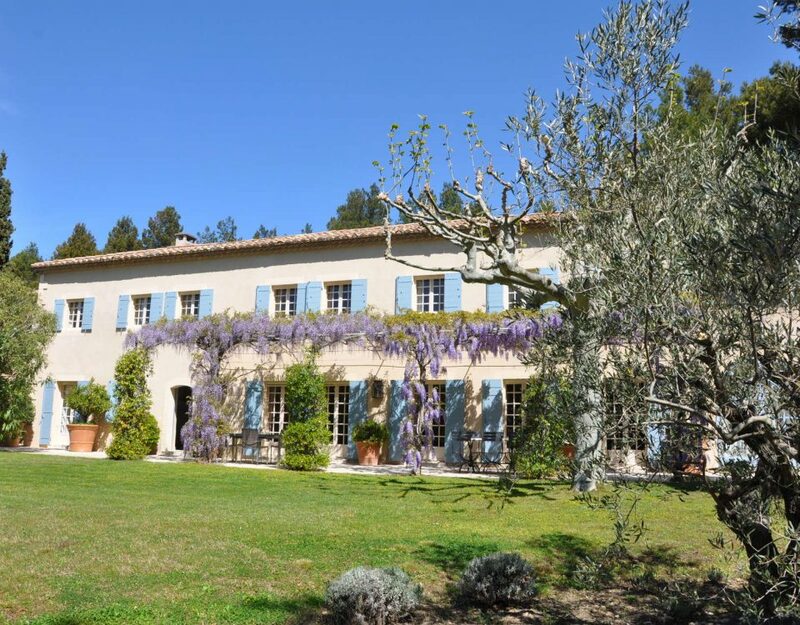 This magnificent house is located between Figanières and Sainte Maxime. It enjoys a quiet and privileged location and is surrounded by a huge forest.The house has been renovated this winter and the photos don’t show the new decoration. Photos will be updated in June 2016. Luxury services for this beautiful 4 double bedrooms house: swimming pool, sauna, jacuzzi, tennis court, en-suite shower room for each bedrooms and a dependence for guests. The house is, of course, fully air conditioned. A large living area with lounge, dining room and kitchen can accommodate 12 people. You are 1 hour drive from Saint Tropez, Saint Raphael but 30 minutes from Sainte Maxime. This very charming villa is ideally located at the edge of the village of La Croix Valmer, 5 miles from the beach. It is only a short walk to cafés, restaurants and small shops. The house offers a spacious living room with natural fabrics, oak tables, superb high ceilings and classic black and white antique tiled flooring. The villa also features a summer kitchen and can accommodate up to 8 guests. Mas Eole is a modern villa with pool hidden amid vines in a tranquil area just a few miles from Plan de la Tour and St Tropez. 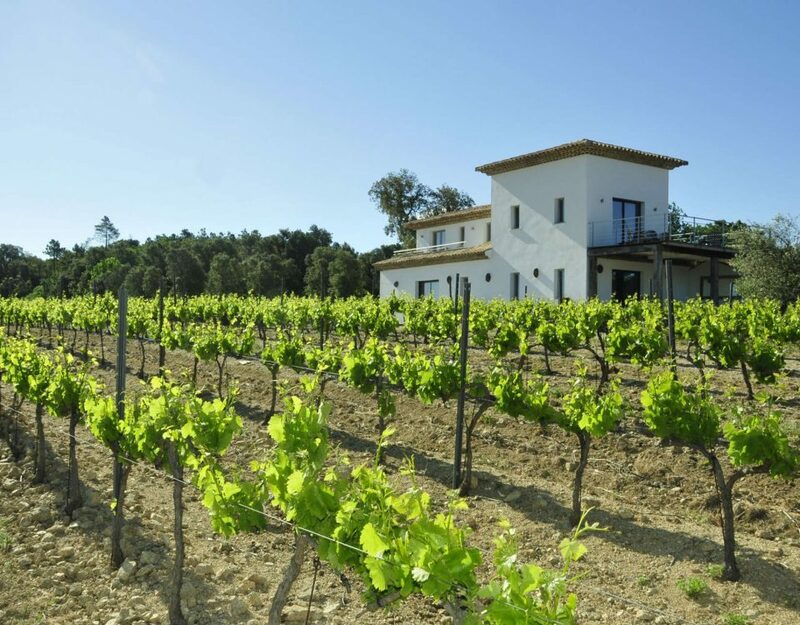 This newly built contemporary villa enjoys wonderful views over the rolling countryside with its vineyards and olive groves. 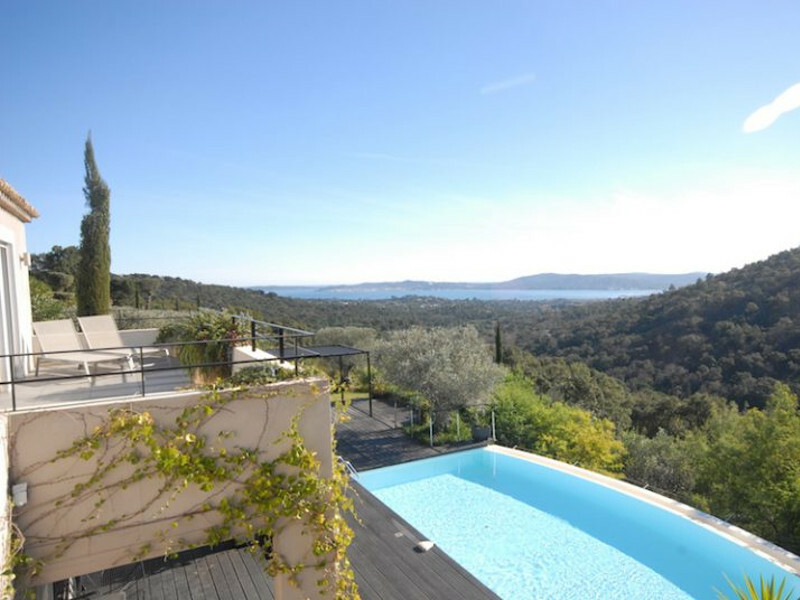 Ste Maxime, St Tropez and Ramatuelle are within easy drive from the house. This fully air conditioned house features 4 double bedrooms and shower rooms. Furnished in a minimalist style, this property offers various spaces in which to relax and enjoy holidays with family or friends. Set apart from all the hustle and bustle, it is the ideal holiday home to enjoy nature and come back to essentials. A must is to relax on the balcony with a glass of rose wine! 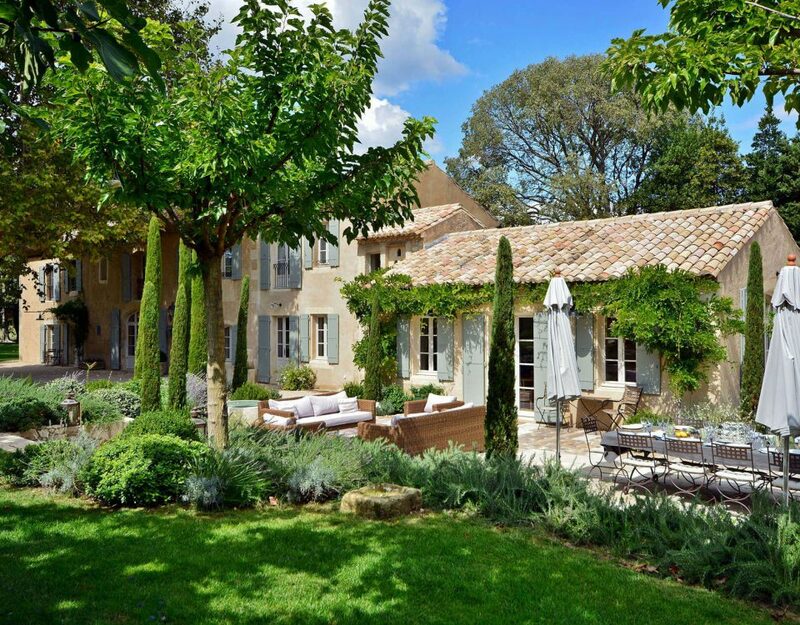 This beautiful restored Bastide is located near the picturesque village of Plan de la Tour, 30 kms to St Tropez. You are 4 kms to the village with its bustling shops, bars and restaurants. Authentic and bucolic, this charming bastide offers wooden floors, wide open fireplace, stone walls etc.. The house can accomodate up to 10 guests in 4 bedrooms and a mezzanine level. No air condition needed thanks to its sick walls. 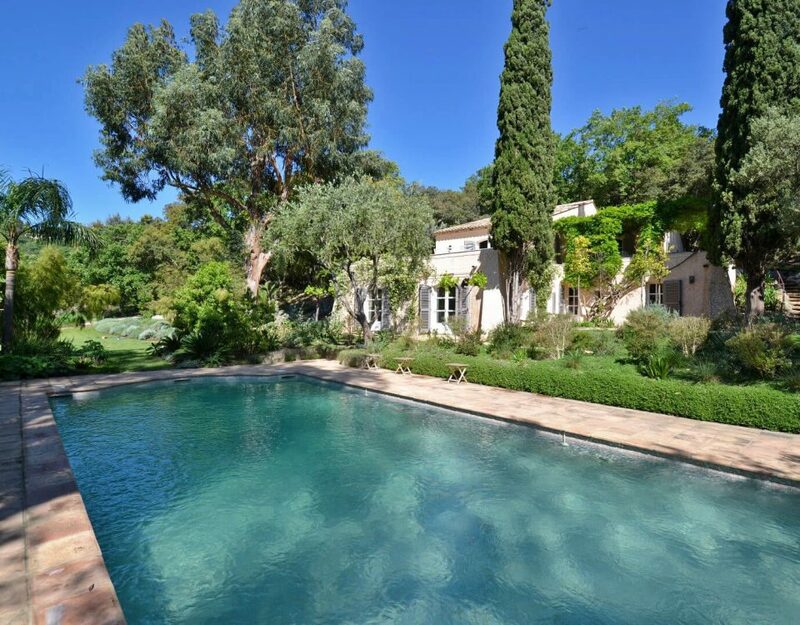 This mansion is a true Provencal jewel: heated pool, air conditioning, privacy, calm and luxury. In a quiet street in the center of Saint-Rémy, this house has a beautiful courtyard and a 4x4m pool. Its 3 suites can accommodate up to 6 guests. You are in the heart of the village but 20 minutes from the Avignon TGV station and 45 minutes from Marseille.